It's baaaack! The Sinful Colors sale at Walgreens is running again already! I have to thank G. from Nouveau Cheap for the heads-up and details. All $1.99 Sinful Colors shades are 2/$3 and 1,000 Balance Rewards points through 7/27. The Sinful Shine and Diamond Lust shades aren't included, but everything else should be. In honor of the return of one of my favorite sales, I put together a massive post with (almost) all of the swatches I have for current, recent, and core (which is different from the cores at other stores) colors available at Walgreens. I also have a few new swatch posts coming soon. I can't guarantee that you'll find all of these shades (and some of the base colors for sheers are probably long-gone, like Mauve), but your chances should be pretty good at least. 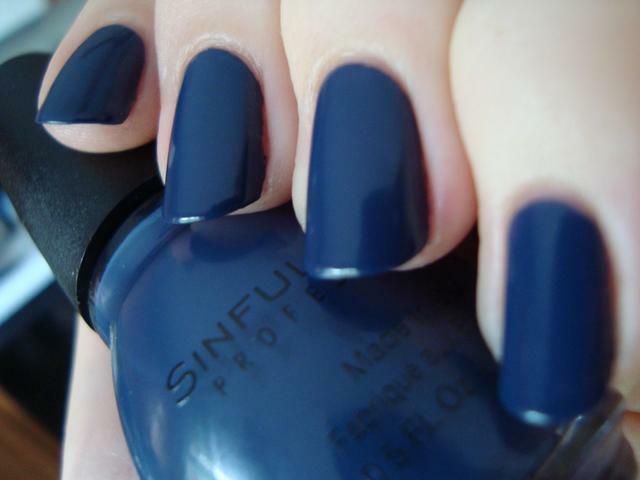 You can also check out the Sinful Colors tag to see all of our past posts featuring the brand. It's the perfect time to pick up core shades you might have skipped in the past, and there's a chance you could score some very new shades and a HTF favorite for an even better price than usual.. The shade names link to the reviews, if you'd like to know more. If you're a MUA member, you can see a semi-recently updated version of the whole shebang here. I love posting spam. Not sure why I don't do it more often! I think I'll probably update my Sinful Colors spam there after these next few posts. I've got swatches of Ahoy There/Sail La Vie (late, I know), Bright Essentials, and Country Charmer all coming very soon. This could turn into another semi-intentional theme week. You make some great match ups with your polishes. I love You Just Wait over Mauve. I will be trying that combo in the near future! I too put CALL YOU LATER over HAPPY ENDING. Love it!